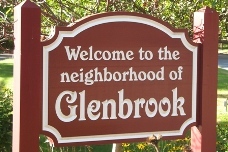 This is the web site of the Glenbrook Neighborhood Association. Our association represents the interests of the residents of Glenbrook. Overall, our objectives relate to beautification and improvement of our streets and public areas. Glenbrook Neighbors, Supporters & Volunteers: please join us as we continue our efforts to beautify and enhance the Glenbrook neighborhood. This annual tradition brings the community together to help clean-up the Glenbrook downtown area. All ages, groups and organizations are welcome! Trash bags, gloves, and litter-pickers will be provided. Look for us at the GNA tent located at the Glenbrook Train Station on Crescent Street side. Donuts, coffee & refreshments will be provided. Special thanks to our event sponsors: City Carting & Recycling, On-Site Shredding, First County Bank, Donut Delight & ShopRite. Please click on the attached flyer for more details. 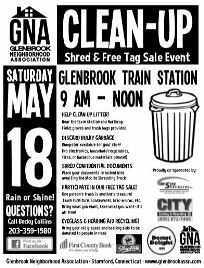 Let’s work together to keep Glenbrook looking great! Guest speaker, Kelsey Kahn and members from CDOT's Public Outreach Team for the exit 9 bridge replacement project told meeting attendees what's expected for the Accelerated Bridge Construction project and shared a timeline for the work. The project's website is www.i95exit9.com. There you can find details about the project, a schedule for the work, detour maps, FAQs, news and updates. Click here to view photos from the meeting.